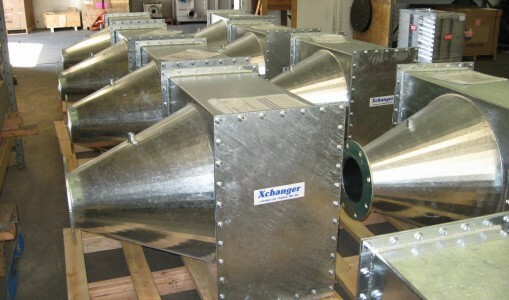 AA Series heat exchangers cool low pressure gas streams with ambient air. 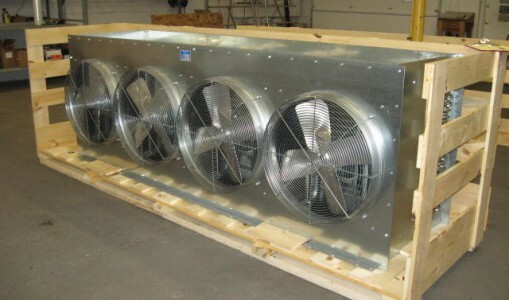 These compact air cooled units are ideal for locations with limited access to cooling water and have significantly lower operating costs compared to heat exchangers that require a cooling water system. 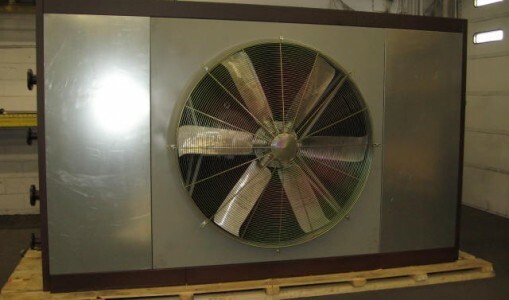 They feature a TEFC 230/460 VAC, 3 phase motor, a heavy-duty cooling fan and an OSHA approved fan guard. 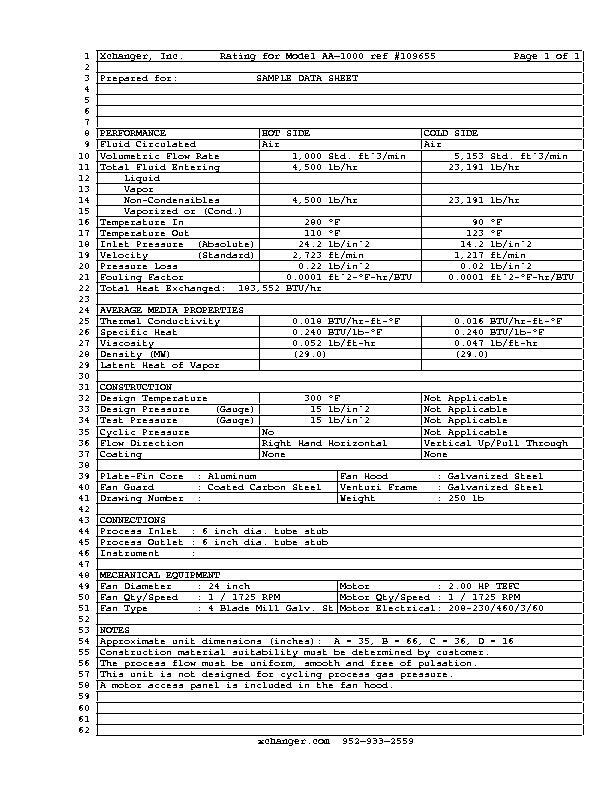 Alternate motors are available upon request. The exhaust hood and venturi frame are galvanized steel. Use our interactive online form to get a fast and accurate quote! 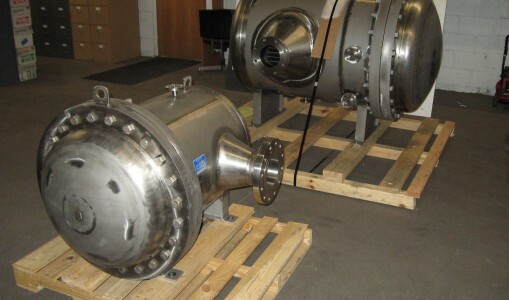 Aftercooling Roots type (rotary-lobe) and multistage centrifugal blowers used in pneumatic conveying, biogas, coal-seam methane, and wastewater aeration systems. 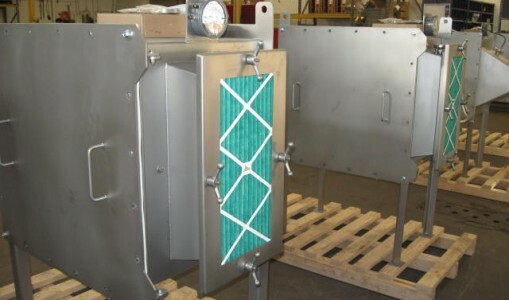 The aluminum plate-fin heat exchanger core is furnace brazed with alternating finned flow channels. 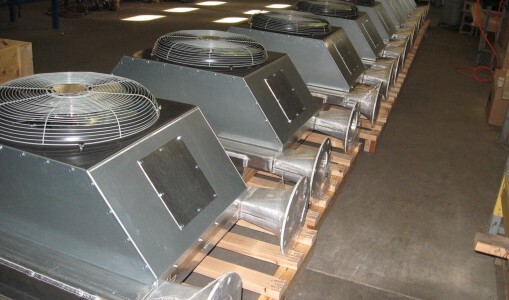 Process gas flows in horizontal channels, and ambient cooling air flows upward, through vertical channels. The process stream enters and exits through rectangular aluminum headers, which are welded to the core. 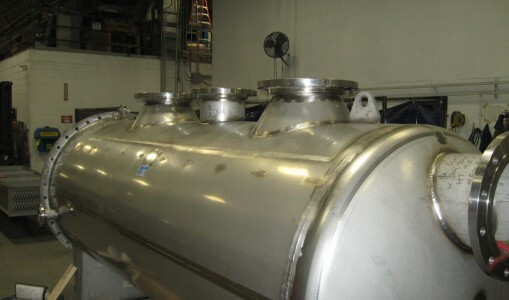 The process stream must be filtered to ensure particulate will not obstruct the passages. If necessary, the service side can usually be cleaned with a soapy water wash. 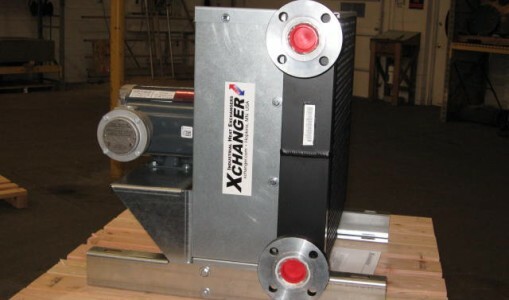 The process channels should not be considered cleanable due to their long enclosed flow length. 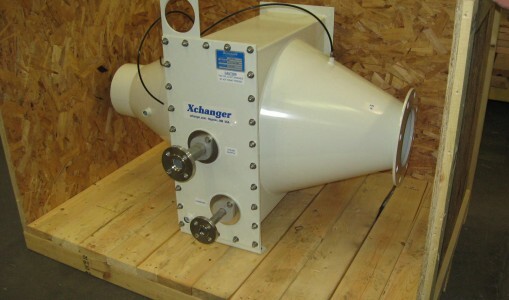 Pulsating flow, such as that produced by rotary lobe blowers should be dampened by a chambered silencer. 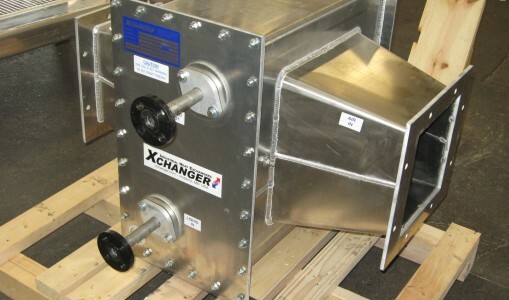 AA Series heat exchangers dissipate heat from the process stream to the ambient environment. 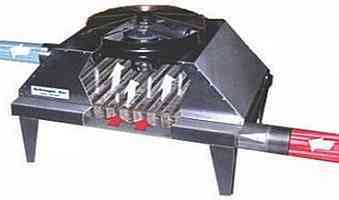 They are designed for outdoor installation. If installed indoors, the area should be very well ventilated. AA-250, AA-400, AA-500, AA-750, AA-1000, AA-1750, AA-2000, AA-2750 & AA-3500. Can be found on our Custom Designs page.